Our buffalo hides are harvested in the prime of winter ensuring that winter coats are the thickest and most luxurious they can be. 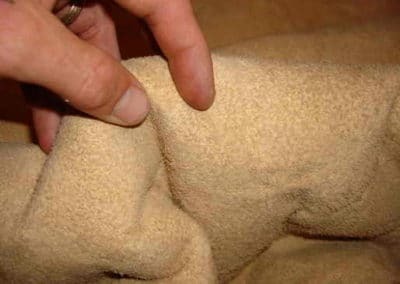 They have a plush winter fur that is soft to touch and make an eye catching and comfortable addition to any room. 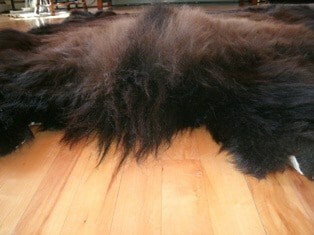 Buffalo hides are a natural product with different sub-species; therefore every buffalo hide has its own rich character and unique fur coloration. Our Professionally shaved and tanned buffalo hides are soft, supple and breathable leather. Each hide is individually chosen for its quality. These hides are fashion-quality leather, with an exquisite luxurious fleece, just like a fur coat; very soft and clean. They are ready for you to use and are comfortable to wrap up in. 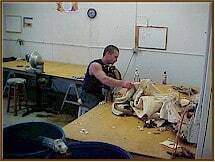 Montana Buffalo Robes offers the highest quality professionally tanned buffalo hides on the market. Our skilled tanners diligently and carefully work each buffalo hide until they are a soft and supple fashion quality leather. Small holes (if any) are professionally sewn closed and are not noticeable on the fur side of the hide.